RU? Instant Reaction Review Podcast Ep. 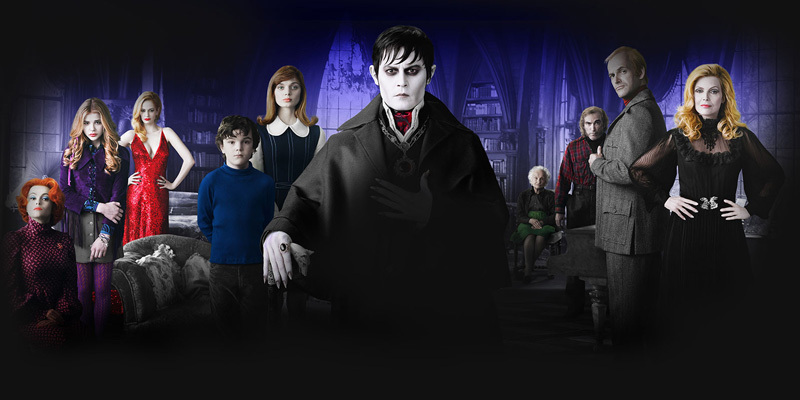 8 - Dark Shadows - Are You Screening? This week we took a look at Dark Shadows, and it was a great example of how much movies can surprise you, no matter how many you see. At least, it was for me. It started off great, and we both liked where things were going for quite a while, and then it became a truly bizarre and horrible mess. I think I even liked it more than Shane to kick off, and I was certainly thrown off even more by what it turned into. It spun into an interesting conversation though, because we had to go back to our theories of ratings. Shane didn’t think that craziness took quite as much away from the overall film as I did, so it didn’t bring his rating down as much. To be honest, I’m still torn, because I liked it so much… and then hated it so much. We both that Johnny Depp was great, and liked a good deal of what Tim Burton did with it, but also had the feeling that Burton wasn’t giving his best effort, especially at the point that he apparently left the film altogether. We also thought most of the supporting cast was rather wasted. Still, it was a lot of fun, up to a point. The question is really just how much the last 30 minutes ruins everything else for you. For next week, on Sunday at 4:00pm – Check it out here – we’re going to be covering The Dictator, and Are You Screening? writer Christopher Lominac will be joining the show to give us a review of Battleship. We’ll also be playing a couple of soundbites from an interview with Sir Ben Kingsley. It’s going to be a packed show, and we’re looking forward to having you join us live. If you can’t make it live, we’d really like to get your thoughts on either of these films anyway, and you can head over to the forum here, and give us your two cents. Whether you see either of these films before the show, or just want to point us to something you want to make sure we cover, drop us a line there, and start the discussion. Have fun with the show, and we’ll see you Sunday.